Dr. Catherine Flick graduated with a BSc with majors in Computer Science and History & Philosophy of Science, Sydney University, Australia, while working in industry as a systems administrator and web programmer. She completed her Honours year with a thesis on Trusted Computing in History & Philosophy of Science (First Class), at Sydney University, Australia. Her PhD was on the topic of Informed Consent in ICT, at the Centre for Applied Philosophy and Public Ethics, Charles Sturt University, Australia. Subsequent employment as post-doc researcher on projects to do with online child protection (Isis, funded by the ESRC/EPSRC, at Middlesex University, UK) and ethical governance policies for emerging technologies (ETICA and EGAIS projects, funded by the EU FP7, at FUNDP Namur, Belgium). 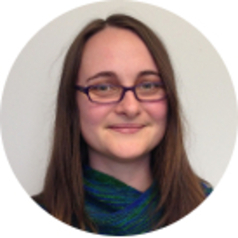 She is currently involved in the EU FP7-funded project Responsible-Industry, and the UK ESRC-funded project FRRIICT. Additionally, she enjoys writing and speaking about video games and ethics, issues to do with anonymity networks such as Tor, and has been featured in a Science Museum exhibition on the controversies of 3D printing.